This fan requires an external power supply, such as the main supply you use with your LEDs (so long as it is 34V or under). Sounds Level - 27db @ 6.5Vdc - Significantly more quite than computer-type fans! Max pressure Level - 1.85 inwg, strong enough to force air through heatsink lengths up to 45 feet long! 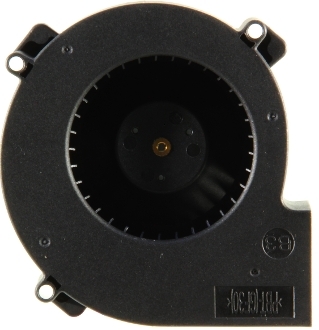 Dimensions - 4"L X 4"W X 1.4" H - It extends approximately 3.5 inches off the end of your heatsink. Exact specifications are subject to change due to constant improvements in the item, every reasonable effort is made to ensure accuracy. The item you receive may not look identical to the picture due to continuous improvements to our products. Steve's LEDs, LLC is not responsible for accidental errors, omissions, and mistakes anywhere on this website. YES, THIS CAN BE FULLY CONTROLLED BY A MEANWELL LDD-350, how cool is that! 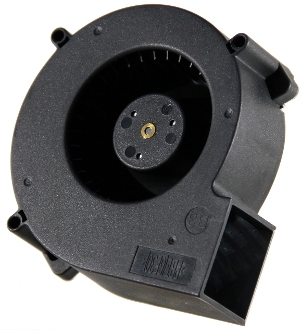 This fan is a brand new item, it was specifically designed for continuous operation in Sony brand WEGA television sets. It originally cost around $60 as a replacement product. Sony WEGA televisions are no longer in production, which is how we are able to offer these fans to you at a fraction of the cost.